Leaving Certificate or Leaving Certificate Applied or LCVP or QQI Level 4 Award. Equal consideration will be given to mature applicants (those aged over 23) who do not meet these. This traineeship provides an introduction to the broad range of skills and knowledge required to work in the hotel, accommodation, restaurant and food service sectors. By completing this course you will develop essential skills in areas like food service, food safety, basic kitchen skills, serving hot and cold beverages, bar service, handling payments, guest services and accommodation services. You will also gain hands-on experience that will help you build a career in the hospitality and food service sector. You will spend 8 weeks working in 4 star and 5 star hotels and restaurants in the region. This will allow you to put your learning into practice in the work place, building your knowledge and developing your career potential. Work placement will be supported with a range of field trips to local restaurants and hotels where you will meet with employers and see the delivery of hospitality services. This traineeship is a focused combination of classroom-based learning with work-based learning within a supportive working environment. As part of this course you will study Customer Service, Reception and Frontline Office Skills, Accommodation Techniques, Menu Planning and Applied Nutrition, Restaurant Skills, Food Preparation, Food Safety (EHOA training and certification) Word Processing and Work Practice. On successful completion of the course you can either apply for a job locally, decide to travel and work abroad or opt to progress to further study in Further Education Institutes, Universities or Institutes of Technology. Work placement employers will consider applications from trainees who complete this course, subject to meeting certain criteria. There are no fees for this course. You will be entitled to Travel or Accommodation allowance, a Meal Allowance and access to the CETS Childcare scheme. If you are on a Department of Social Welfare payment you may be able to continue to receive your payments, you should check with your DSP o cer. For those not in receipt of a DSP payment a bursary may be payable. This is at the discretion of the employer and is subject to satisfactory conduct and attendance. Full driver’s licence. Consideration will also be given to those under 23 who present with a Leaving Certificate, Leaving Certificate Applied (LCA), LCVP or a QQI Level 4 award. This course aims to train students to work as professional drivers or chauffeurs in the corporate transport hospitality and security sector. It will appeal to mature students with experience/background in the state security services (An Garda Síochána, Defence Forces, Emergency Services). This course will equip students with the skills set required to work in this sector, to ensure the safety and security of executive, corporate and VIP passengers. This will include customer service skills, interpersonal skills and intercultural awareness, guarding skills and security threat awareness. The course will also train students in basic motor vehicle maintenance, pre-journey vehicle inspection and health, safety and welfare practice and procedures. Students will have the opportunity to prepare for the Special Public Service Vehicle (SPSV) test. In order to apply for this licence, students must hold a full driver’s licence and be aged 25 or over. Opportunities for graduates of this course may include working as chauffeurs or drivers for national and international ground transport operators in the emerging business and tourist markets both in Ireland and in Europe. 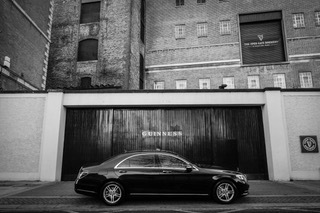 Graduates may also decide to set up their own business, providing local chauffeuring services. At Cavan Institute: Graduates of this level 5 award can progress to the level 6 course in Security Operations and Administration (Supervisory) at Cavan Institute. Elsewhere: Graduates are also eligible to apply through the CAO and/or Higher Education Links Scheme for entry to year one of a range of higher certificate or degree programmes at Institutes of Technology or Universities (please check with the particular institution regarding local eligibility requirements). Leaving Certificate or Leaving Certificate Applied or LCVP or QQI Level 4 Award. Equal consideration will be given to mature applicants (those aged over 23) who do not meet these. This is a one year full-time course. It is targeted at males and females who are interested in a career in Barbering. 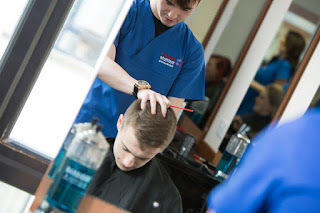 Subjects within the course are tailored for the male hairdressing industry and include barbering techniques, styling and finishing of men’s hair, colouring, lightening and perming men’s hair, and safety and health at work. Students will have an opportunity to work on male clients throughout the course. Work placement is an integral part of the course. Students are encouraged to seek their placement specifically in barbershops. On completion of this course graduates will be job-ready having acquired the skills to work in the male hairdressing industry as qualified barbers. Other opportunities include employment on a cruise liner, participating in completion work, working in the wholesale/retail sector or as a technician for a leading company in the vocational area. Graduates of this course may progress to the second year of a Hairdressing course in Cavan Institute where they will advance their City and Guilds qualifications and study for the Department of Education and Skills Junior Trades Certificate. This course is designed to help students develop the essential accounting and financial knowledge and skills which form the basis for a career in industry, commerce or the public service. 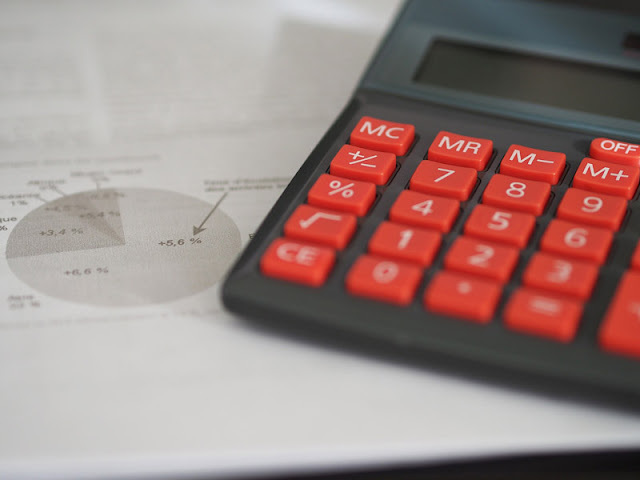 The course comprises both theoretical and practical modules, and students will gain an understanding of both manual and integrated accounting software. There is a focus in this course on the functional areas of accounting, finance and business and the factors which influence business success. With this course, students can go on to pursue a career in such diverse areas such as accounting, finance, retail, marketing and IT. Leaving Certificate or Leaving Certificate Applied or LCVP or FETAC/QQI Level 4 Award. Equal consideration will be given to mature applicants (those aged over 23) who do not meet these entry requirements. Upon successful completion of this programme, students may progress to the one-year level 6 QQI courses, Administration, and IT for Business or Business Studies (Year 2). They may also progress to the ATI Accounting Technicians Ireland course, also available at Cavan Institute. This course is aimed at students who are interested in pursuing a career in accounting/finance. Accounting Technicians are skilled persons who work at middle management level and who provide essential financial and accounting support information to professional accountants and to senior management. 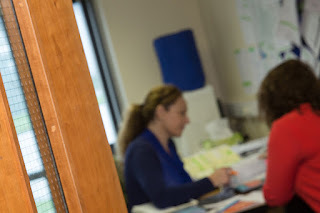 Some examples of positions available to qualified Accounting Technicians include: accounting supervisor, budget officer, assistant accountant and payroll administrator. At the end of their two years of study and having complied with all the requirements of Accounting Technicians Ireland, students will be awarded the Certificate MATI (Members of the Accounting Technicians Ireland). Accounting Technicians Ireland, in a recent survey of their members, state that "almost 95% of our members are employed. 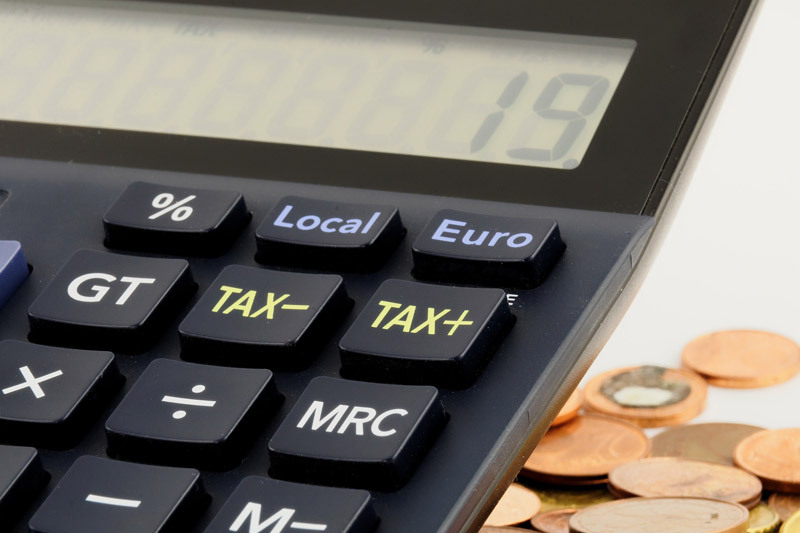 As an Accounting Technician you will be qualified to work in many types of accountancy jobs. There is always a stong demand for these skills in the marketplace." Work Experience is an integral part of this course. Students complete one day per week work experience in year 2 in areas of work, which are relevant to their course, both in the public and private sectors. The accounting technician qualification is a recognised pathway to attaining a professional accountancy qualification through the Certified Public Accountancy course available at Cavan Institute and elsewhere. Even if you do not aspire to qualifying as a professional accountant, the course provides a solid theoretical and practical base that can be used to achieve a successful career in other related areas of business. Leaving Certificate candidates, refer to the Accounting Technicians Ireland Website for entry requirements. QQI level 5 award in Applied Social Care or equivalent. Equal consideration will be given to mature applicants (those aged over 23) who do not meet these entry requirements but can demonstrate industry experience. This course will be of benefit to those who have a particular interest in the professional aspects of social care. Students will get an understanding of the many roles of a social care worker and models of social care provision. For instance, there is an emphasis in current practice of integrating people with disabilities or special educational needs within mainstream provision. Finally, this course introduces students to counselling skills, with an emphasis on reflection and self-awareness. Employment may be obtained in a wide variety of settings, including residential care centres, community projects, youth centres, centres for young people and adults with special educational needs, nursing homes and day care centres for the elderly/aged.